A 'Final Salute' to Fallen Marines "Never leave a Marine behind." That tradition began in 1775, and continues today via officers like Col. Steve Beck, whose job it is to notify families of the loss of a loved one. Beck — and the families he contacted — is the subject of journalist Jim Sheeler's book Final Salute. Sheeler (pictured) and Beck talk to Terry Gross about a duty that's both an honor and a burden. "Never leave a Marine behind." The tradition began in 1775, and continues today via officers like Marine Colonel Steve Beck, whose job it is to notify the families of the loss of a loved one. Beck's mission, called "casualty notification," is one for which he received no training. It begins with a knock at the door, and continues through the funeral and beyond. It involves standing watch over the caskets of the fallen, comforting those left behind and, at times, choking down his own tears. 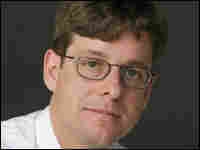 Journalist Jim Sheeler followed Beck for a year, writing about the experience in a Pulitzer Prize-winning Rocky Mountain News series. 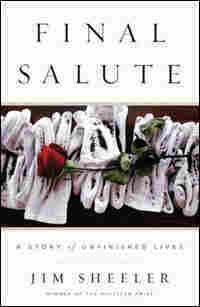 Sheeler's new book, Final Salute: A Story of Unfinished Lives, is a continuation of the series. Sheeler and Beck join Fresh Air host Terry Gross for a conversation about a duty that's both an honor and a burden. Some are ornately hand-carved hardwood; some are hollow tin. Some are protected by elaborate security systems, some by flapping screens. The doors are all that stand between a family and the message. For Major Steve Beck it starts with a knock, or a ring of the doorbell — a simple act, really, with the power to shatter a soul. Marines are trained to kill. They are known for their blank stare and an allegiance to their unofficial motto, "No greater friend, no worse enemy." Since 2003, as the wars in Iraq and Afghanistan intensified, Marines such as Major Beck found themselves catapulted into a duty they never trained for — a mission without weapons. As a Marine the forty year-old had already won accolades as the most accomplished marksman of his class. He later earned two master's degrees in a quest to become a leader on the battlefield. He had hoped to deploy during the Persian Gulf War but was still in training when the conflict ended. He then trained and led Marines in preparations for conflicts in Somalia, Bosnia, and Haiti at the Marine Air Ground Task Force Training Command in Twenty-nine Palms, California. During the attacks of Sept. 11, 2001, he served as a recruiter for the war he ached to join. During the initial invasion of Iraq, he was finishing his term at the Air Command and Staff College, hoping to transfer quickly to a deploying unit. Instead, he was sent to Colorado, where he once again trained Marine reservists for war, expecting he would soon join them. He found himself faced with an assignment that starts with a long walk to a stranger's porch and an outstretched hand sheathed in a soft white glove. It continues with a promise steeped in the history of the Corps that most people associate only with the battlefield: Never leave a Marine behind. In combat, men have taken bullets while retrieving their comrades' bodies, knowing that the dead Marine would have done the same for them. It is a tradition instilled in boot camp, where Marines are ingrained with 230 years of history and the sacrifices of tens of thousands of lives. For Major Beck — and thousands of men and women throughout the world tasked with notification duty — it is a promise that holds long after the dead return home. Ask a Marine. Even the "grunts" on the front lines say they would rather be in the danger zone in Iraq than having to stand on that porch. From the beginning, Major Beck decided, if he was going to have to do it, he would do it his way, the way he would want it done if he were the one in the casket. Over the next two years and through several notifications, Beck made a point of learning each dead Marine's name and nickname. He touched the toys they grew up with and read the letters they wrote home. He held grieving mothers in long embraces, absorbing their muffled cries into the dark blue shoulder of his uniform. Sometimes he returned home to his own family and cried in the dark. When he first donned the Marine uniform, Steve Beck had never heard the term casualty assistance calls officer. He certainly never expected to serve as one. As it turned out, it would become the most important mission of his life. As Veterans Day slid into another blank date on the calendar, the Marines drove through the snowy streets of the Laramie neighborhood. The house found them first, beckoning with the brightest porch lights and biggest address numbers on the block. Inside the SUV, the major played out scenarios with his gunnery sergeant as if they were headed into battle. What if the parents aren't home? What if they become aggressive? What if they break down? What if, what if, what if? The major pulled to the curb and cut his headlights. He looked at the gunnery sergeant. Then the two men climbed out of the truck, walked into the untouched powder, and heard the soft snow crunch. From then on, every step would leave footprints. In the basement of their home in Laramie, Kyle Burns's parents didn't hear the doorbell. The couple had spent most of the snowy night trying to hook up a new television. It was nearly 1:00 A.M. when the dog leapt into a barking frenzy. Kyle's mother climbed the stairs from the basement, looked out the window and saw the two Marines on the frozen porch. Go away! she thought. Get the hell away from here! Then she started screaming. While each door is different, the scenes inside are almost always the same. "The curtains pull away. They come to the door. And they know. They always know," Major Beck said. "You can almost see the blood run out of their body and their heart hit the floor. It's not the blood as much as their soul. Something sinks. I've never seen that except when someone dies. And I've seen a lot of death. "They're falling — either literally or figuratively — and you have to catch them. In this business, I can't save his life. All I can do is catch the family while they're falling." 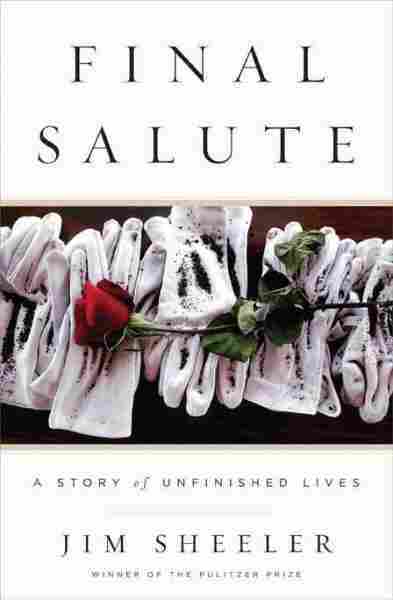 Excerpted from FINAL SALUTE: A Story of Unfinished Lives by Jim Sheeler. Reprinted by arrangement with The Penguin Press, a member of Penguin Group (USA), Inc. Copyright (c) May, 2008.